At Bay Virtual School we offer several course offerings, which provide flexible options to meet the needs of our students. In physical schools there are textbook publishers, but in virtual school we have course providers that create the online learning modules. All of our course providers prepare our students with engaging digital online programs that are aligned with the Florida State Standards. 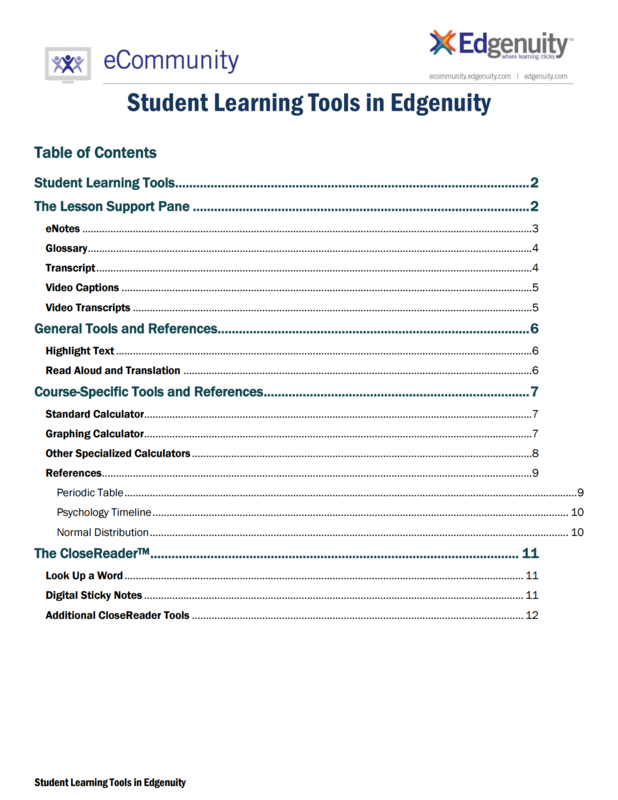 Our full-time program through Edgenuity is suitable for middle and high school students. 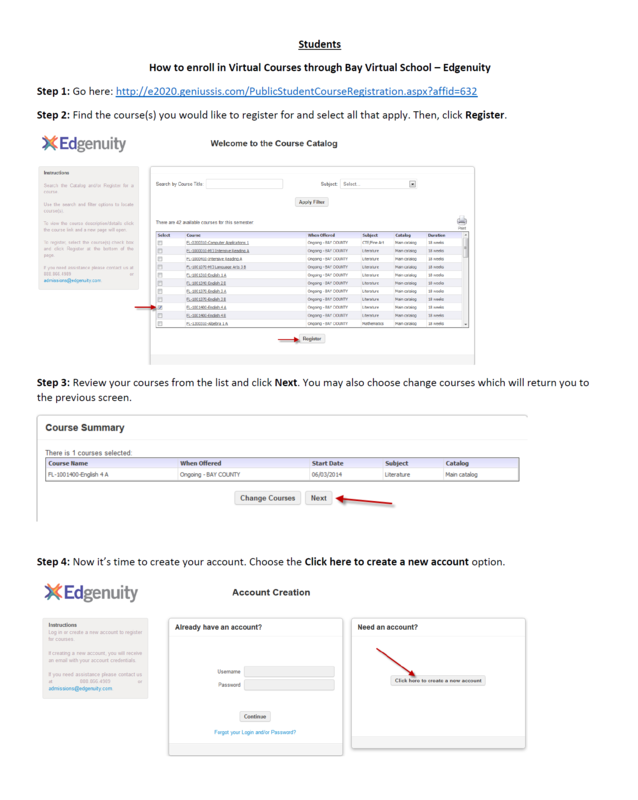 Edgenuity courses are video-led with Bay District School certified teachers acting as the course facilitators. The curriculum engages students through meaningful assignments, which utilize multimedia resources. Bay Virtual School offers support to the Edgenuity curriculum through face-to-face Success Sessions in computer labs, and phone calls, emails, and text messages with our teachers. Students and parents are able to monitor progress in these courses with grades and pacing charts. 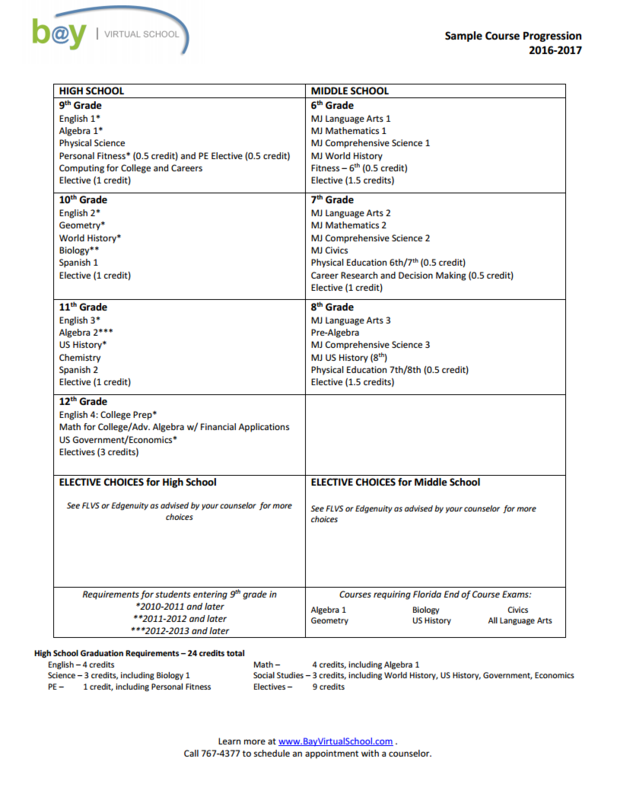 BVS full-time students are required to take six courses and must take all required state and district assessments. Are you ready to enroll for the upcoming year? Your teacher will contact you with a Welcome Call. Florida Statute 1002.37 and 1002.45 require every school district in the State of Florida to have an open and closed enrollment period for full time students. See dates below for the enrollment window for the 2018-19 school year. FLVS full-time students enrolled through Bay Virtual School (County Franchise) are public school students within Bay District Schools. 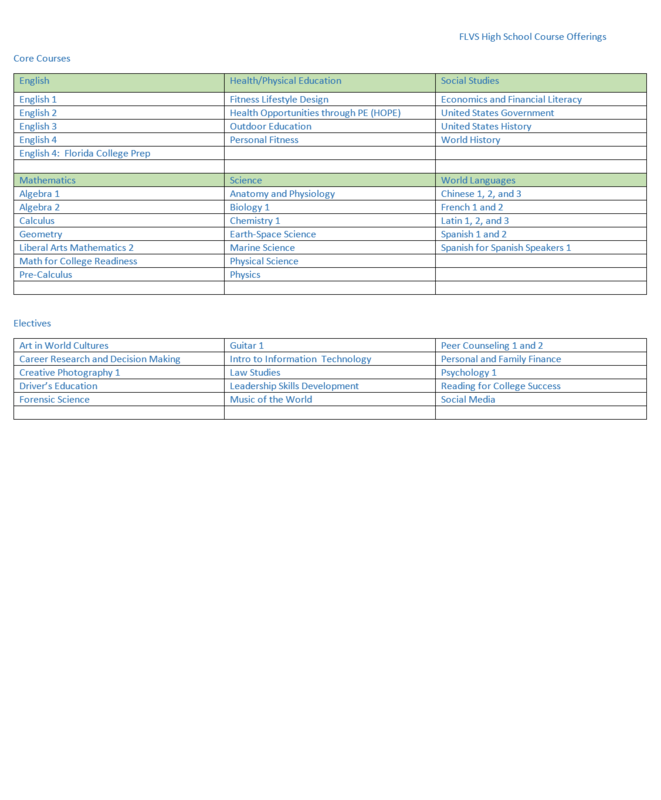 We follow the traditional Bay District Schools academic calendar. This engaging online learning program meets the needs of many of our on grade-level and advanced learners in both middle and high school. A highly qualified and certified Bay County teacher will serve as the course facilitator of each class. Our students and local teachers communicate frequently by phone for Discussion Based Assessments (DBAs). Through DBA conversations, our teachers are able to assess the depth of understanding each student has achieved, remediate if necessary, provide helpful insight into upcoming units of study, and maintain our high standards of academic integrity. In addition, our teachers and students will communicate through emails, texts, and other online learning tools and apps. We even offer face-to-face sessions in computer labs for students that need additional support, or a quiet and structured environment to complete their school work. Many of our students will complete their required FLVS collaborative assignments in our computer labs with classmates they know from our Success Sessions and field trips. Both students and parents are able to track academic progress by grades and assignment completion rates. Bay Virtual School full-time students that use the FLVS curriculum are required to take six courses and must take all required state and district assessments. Remember, if you register directly through FLVS, you will NOT be considered a Bay District School student. Do you want to learn more about taking FLVS courses through Bay Virtual School? Florida Statute 1002.37 and 1002.45 require every school district in the State of Florida to have an open and closed enrollment period for full time students. See dates below for the enrollment window for the 2016-17 school year. Bay Virtual School’s partnership with Connections Learning curriculum programs provides a powerful, fully-integrated learning platform for our full-time elementary students in grades 3-5. Connections Learning programs utilize state-of-the-art technology tools like Adobe Connect to bring a full classroom experience to your child, while learning within the safety of your home. Students attend required real-time Live Lesson classes each Tuesday morning with classmates and have the option to enter the Live Lesson classroom on Thursday mornings for small group and individual help, or for enrichment activities. During the week our students will access online instructional modules, interactive lab experiments, videos, and assessments as part of the standards-based, grade-level activities. Bay Virtual School will provide the opportunity for our students to socialize with classmates at regularly scheduled workshops and field trips. Connections Learning is the winner of the 2015 Awards of Excellence Tech and Learning. Your program materials will be ordered and delivered to your home. Question: What is Bay Digital Academy Elementary? Answer: Bay Digital Academy Elementary is the local full-time virtual program offered through Bay Virtual Schools for students in grades 3-5. We are a public school of choice within Bay District Schools. Our classes are aligned with the Florida standards, and are taught by highly-qualified and certified Bay District teachers. Question: What are the advantages of choosing Bay Digital Academy for my child in grades 3-5? Answer: Our comprehensive program provides for the flexibility of virtual learning from home with an appropriate blend of online and offline learning where students and teachers meet weekly in virtual classrooms. We provide a personal, family approach to a high-quality education with highly qualified teachers working in partnership with parents that serve as the student’s Learning Coach. Unlike other national or state run virtual programs, we keep our online class size small so the teacher will be able to work closely with the student. In addition, our Bay County location makes face-to-face student/teacher contact possible. Question: How many courses will my child take through Bay Digital Academy? 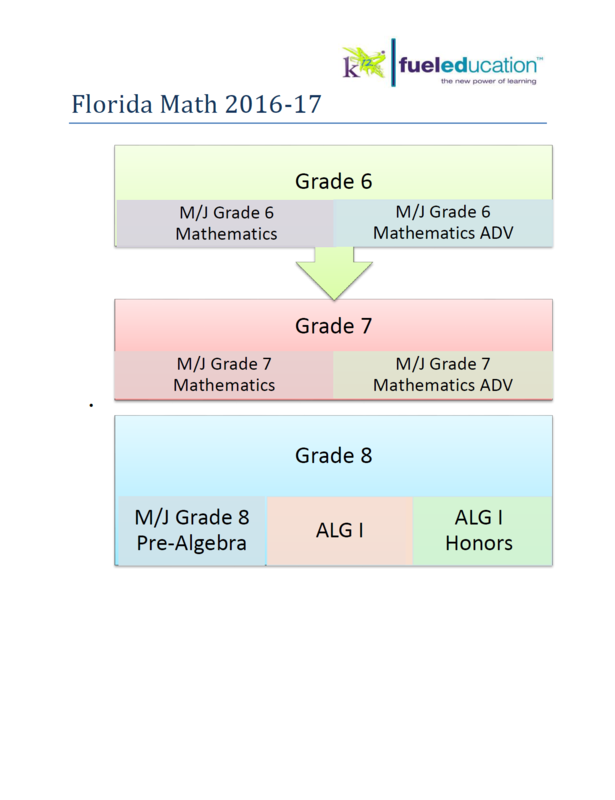 Answer: Your child’s virtual curriculum will include instruction in English Language Arts, Math, Science, and Social Studies that is aligned with the Florida standards. In addition, students may take elective courses in Art, Technology, Music, and Physical Education. Question: What resources will Bay Digital Academy provide for my child? Answer: Once a student is enrolled with Bay Digital Academy, we begin the process of communicating with Connections Learning, our course management system facilitator to set up both a student and Learning Coach account. Our elementary program is entirely virtual where online textbooks and resources are provided within learning modules. Occasionally you will need to provide a few common household items for some science labs or activities. Question: What is the time commitment for Bay Digital Academy students in grades 3-5? Answer: Students should expect to spend approximately 25-30 hours per week to complete their assignments. Your child will have a planner that outlines the daily activities and assignments for the day. In addition, there is a weekly required online class session each Tuesday morning, where teachers will highlight and preview upcoming lesson concepts. Optional Thursday morning sessions are available for students that require additional support on specific skills or for enrichment opportunities. As your child’s Learning Coach, you will work in partnership with the virtual teacher to make sure that your student is meeting academic grade-level expectations. Learning Coaches take on the role of a facilitator that guides the daily lessons. But, don’t worry about knowing how to facilitate! As your child’s Learning Coach, you will have your own separate login, with your own facilitator-level view of the course. Our Learning Coaches receive instructions on how to facilitate, helpful hints for working with your child on difficult math concepts, and the guiding questions to ask the student along with the answers to the questions! Question: What can I do to make sure my child is successful at Bay Digital Academy? Answer: We want to have a successful partnership with you by taking a team approach in the education of your child. Parents act as the Learning Coach and take an active role in the educational process. Communicate with our teachers and staff. Maintain pace by assisting your child to complete and submit daily assignments. Attend weekly online Live Lessons. Provide a quiet place for your child to work on lessons and prepare for assessments. Adhere to all program requirements and expectations. Attend the face-to-face Orientation and Open House. Assist with science labs when needed. Complete the parent and student online Connexus orientation. Review the standards of academic integrity with your child. Question: How does my child participate in weekly Live Lessons with the teacher and classmates? Answer: Using a computer or laptop, your child will login the Connexus course management system. From the home page, a link will be provided that takes the student directly into the online classroom. All students will need a headset to participate in classroom discussions. Our teachers use the Koss CS100 Headsets ($15-25 on Amazon) with desktops because of reduced sound distortion, and the noise-canceling microphone. Logitech also provides reasonably priced quality microphone headsets that have noise canceling microphones. Remember, we want to hear your child rather than everything that is going on in your household. Question: Are there attendance and participation requirements? Answer: Regular participation in classes is critical to student success. Virtual attendance is viewed by assignment completion and assessment submissions. Students and Learning Coaches are expected to log in to their courses each day. Students not meeting their academic commitment through grades, pace, or state testing will be counseled at a parent conference as to other placement options. Question: Will there be a face-to-face orientation or Open House? Answer: Yes, all students and parents are invited to our Open Houses that we hold at the beginning of the new semester in August and January. It is an opportunity to meet the teachers, administrators, and other students that will be in your virtual class. Orientations are scheduled once your child is accepted into Bay Virtual Academy. Question: How will I learn about the Connexus course management system? Answer: Once you receive login information, you will be able to access both the student and parent orientation videos. Parents should view both the student and parent videos so that you will see the two different perspectives of the course. Question: Is there an opportunity for my child to engage with classmates? Answer: Bay Digital Academy will provide many opportunities throughout the school year to interact virtually or at face-to-face events. In addition to our weekly virtual Live Lesson class sessions, students will gather together on field trips and learning workshops. Question: May I enroll my child mid-year? Answer: Yes, we will look at mid-year placements on a case by case basis. Please set up an appointment with Ms. Fields (850-767-4144) to discuss enrollment for the January to June semester. Question: Is my child required to participate in district and state level testing? Answer: Yes, as a Bay District School student, your child will be required to participating annual state and district testing. The parent must provide transportation to and from the designated testing location. Question: What is the academic calendar? Answer: As a public school in Bay County, Bay Digital Academy students follow the instructional calendar that is published by the district. Question: My child has a Gifted Educational Plan. Will you be able to meet the needs for my child? Answer: Yes, your child will take classes with a Gifted endorsed teacher. Once your child is enrolled with Bay Virtual School we will set up a meeting to review your child’s EP and discuss how Bay Digital Academy can help your child reach his/her academic potential. Answer: There is a 21 day grace period from the start of the semester that gives students, families, and Bay Virtual School staff time to determine whether virtual enrollment is the right fit for them. Grades will not transfer to another school due to the short time period. Question: Will grades transfer to another school? Answer: Yes, grades in virtual school are earned when students complete courses. Our partnership with K12 Get Fueled provides full-time, year-long online learning programs for students in grades K-12. Get Fueled will provide the curriculum, online learning resources, and certified teachers to provide consultative support. Students that enroll with K12 Get Fueled should expect to stay within the program for the full school year. This program will provide an easy to navigate learning management system, which helps our students receive online curriculum to meet their individual needs. Built in support programs such as iReady help improve student outcomes for our students by assessing areas of strength and weakness for each student and then tailoring instruction by leveraging learning technology to improve learning. Although K12 Get Fueled teachers are located nationwide, the teachers working with your child will hold a Florida teaching certificate and are familiar with the standards for Florida. Teachers connect with students online through Class Connects sessions and have online office hours for students seeking additional help. Students interested in the K12 Get Fueled program need to apply through Bay Virtual School and K12 Get Fueled. Stuck? Have a problem? Need Help? BVS expects a full commitment to academic integrity from each student. Your work on each assignment will be completely your own. Your collaboration with another classmate on any assignment will be pre-approved by your instructor. You will not practice plagiarism in any form*. You will not allow others to copy your work. You will not misuse content from the Internet. You will not provide assistance to anyone scheduled to take the same course semester/final exams in the future. Your parent/guardian will attest to the fact that your work is completely your own. Plagiarism detection software and browser lockdowns. Frequent, varied, and authentic assessments of learning. Interactive discussions by phone and online chats. Random required face to face Discussion Based Assessments. Comparison of student district and state testing data with course grades. Modification of course assessment requirements. Random required proctored exams at our Bay Virtual School location. *Plagiarism is defined as follows: copying or using ideas or words (from another person, an online classmate, or an Internet or print source) and presenting them as your own. Please be aware that all BVS instructors utilize a myriad of technologies to check student work for authenticity. If an instructor confirms that a student has plagiarized work in any manner, the student will be subject to consequences determined by BVS administration and may be removed from the course with a failing grade. Plagiarism: copying or using ideas or words (from another person, an online classmate, or an Internet or print source) and presenting them as your own; submitting another student’s work or sharing files with other students, and/or inconsistencies between written assignments and oral assessments. 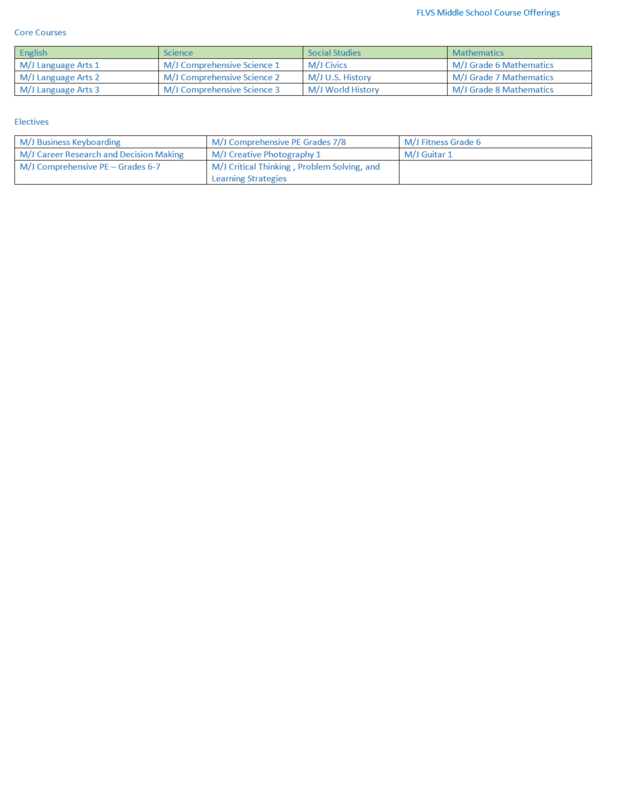 Security breaches such as: misuse of passwords, accessing another student’s account, providing access to one’s account to another student, misrepresenting oneself as another student, or illegally accessing any resources that are intended for instructional evaluation purposes, selling, soliciting, or purchasing material. Teacher schedules phone call or conference with parent, student and school administrator. Teacher advises student and parent that student must resubmit assignment(s) using his or her original ideas and work before proceeding to next assignment at the teacher’s discretion. Teacher advises student and parent that a “0” (F) on the assignment(s) in question will be issued. Student may be able to submit a replacement assignment for partial credit at the teacher’s discretion. If the violation occurred on an assessment, student will receive a “0” (F) with no opportunity for make-up. For any inconsistencies between written assignments and oral assessments, teachers will advise student that proctored exam(s) will be required at the school office. Teacher notifies BVS administration to schedule a conference with the parent, student and school administrator where the student is placed on academic probation. Student is withdrawn from course with an F. Student may continue enrollment in any other active courses until completion or the end of the semester, whichever occurs first. Student will lose the privilege to enroll in any additional BVS course(s) in the future. Teacher notifies BVS administrator to schedule a conference with the parent, student and school administrator. If it is determined a student violated online security, the student will be withdrawn with a failing grade from all online courses, a discipline referral will be issued and the student will be referred to Student Services for suspension, placement in an alternative program or expulsion. The student loses the privilege to enroll in any additional BVS course(s) in the future. Your work will be completely your own. You will not practice plagiarism in any form. You will give no assistance to anyone scheduled to take the same course semester/final exams in the future. Note: You are responsible to notify your parent/guardian of his/her responsibility in monitoring your semester/final exams to assure academic integrity. You MUST PASS the final/semester exam in order to pass the course. If the student does not submit the expected number of assignment(s) within a period of seven (7) consecutive days, the student and parent(s) will receive an electronic letter notifying them of the student's unacceptable pace for submitting assignments. If the student does not respond by submitting the appropriate number of assignments within seven (7) days, the instructor(s) will make a telephone call to the student/parent(s). If the student does not respond by submitting all required assignments within fourteen (14) days, BVS will schedule a conference with the student and parents to implement a student action plan. If the student and parent does not respond to the student action plan within twenty-one (21) days Bay Virtual School will assume that the student does not intend to remain in the course, and the student will be administratively dropped from the course. Every student has a grace period during the first 21 consecutive days of being activated into a BVS course. During that period, students may drop the course without penalty and teachers can also withdraw unproductive/unsuccessful students from their course to allow them to pursue other educational means without penalty. Once the 21 day grace period has passed, students may be withdrawn with a failing grade whether the withdrawal is initiated by the teacher or the student. The failing grade could be reported on the student’s official transcript. Once a student is removed from a course, re-enrollment may not take place until student demonstrates consistency in all other online courses. In addition to our updated career resource, we've recently published a new guidebook dedicated to helping students learn online more effectively. "Online Colleges and E-Learning Excellence" taps into the minds of some of today's most distinguished e-learning institutions and establishments, including The Sloan Consortium, The Open University, Penn State World Campus, and more than a dozen others, to introduce key basics, explain critical how-tos, and tackle many of the misconceptions that surround the virtual classroom.